Some of the best flavors can be showcased on the grill by combining a few great tasting ingredients. 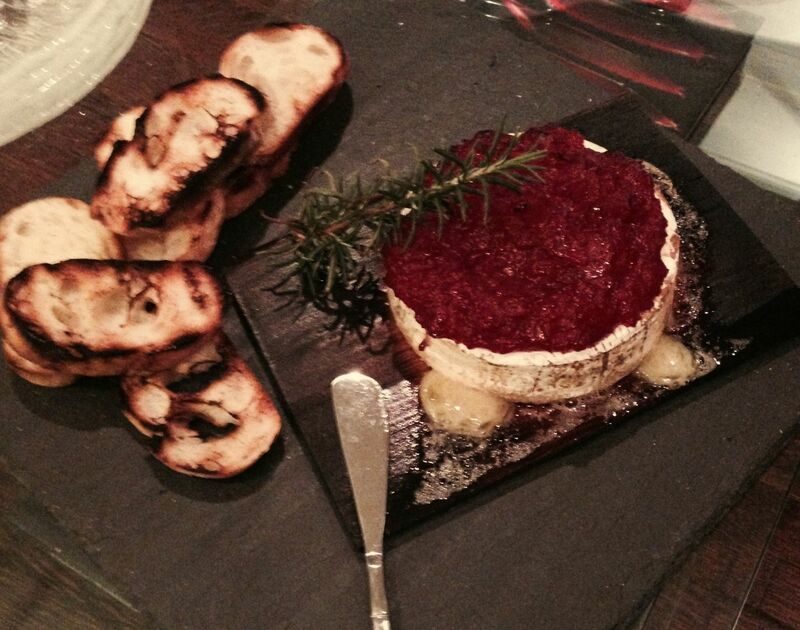 The flavors of cedar, warm brie cheese and grilled bread is one example of this. It appears to be a simple baked cheese with some jelly on top, but the balance of flavors are so wonderful that it becomes something more than just modest baked brie. The Smoked Onion Cranberry chutney can be swapped with all kinds of fresh fruit throughout the year – from Maine blueberries, to summer peaches and even Bing cherries, just make sure the fruit is at the peak of season for best flavor. The chutney can be jarred and stored for up to 2 weeks in the refrigerator, if necessary. Note: If you are in a hurry, any store bought marmalade can be used to top the brie cheese, just make sure it is plenty chunky for best results. 1. Prepare the grill for indirect, medium heat (about 350F on the grill). Place a few wood chunks on top of the lit coals and close the lid. 2. Cut the top and bottom from the onions (leave the peel on) and place them in the indirect zone of the grill. Close the lid and cook/smoke the onions for about 30 minutes. They should be golden and pretty soft when ready. Remove from the grill and set aside to cool. 3. When cool, peel and slice the onions thinly, place in a saucepot. 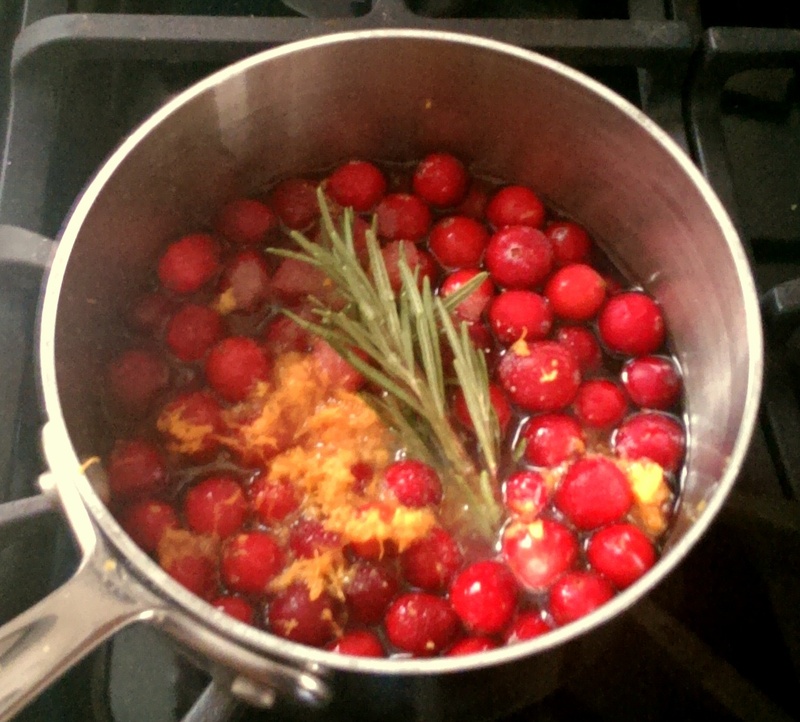 Add the cranberries, rosemary sprigs, orange (juice and zest), sugar, port wine and cranberry juice. Bring this to a simmer and cook for about 10 minutes. The fruit should have softened and the flavors melded. 4. Set the chutney aside to cool for about 10 minutes. When the chutney has cooled, remove the rosemary sprigs and pulse in the food processor. The shorter time chopped up, the chunkier the chutney will be. Place the chutney in the refrigerator to cool for 30 minutes. 5. Prepare the grill for direct, low heat cooking (about 300-325F). 6. When the grill is ready, unwrap and place the brie onto the soaked cedar plank in the center. Spoon a generous amount of chutney on top and bake on the grill until it is nice and browned, about 15 minutes. The chutney should be toasted and juice running down the sides of the cheese. 7. Serve still on the cedar plank with grilled bread or crackers.